An architect has the imagination to design what you envisioned for your building by simply listening to and having a look at your ideas. They can give advice on changes that need to be made to your plans where needed, whether legal or creative. Your architect will be able to assist and advise you on the latest trends in building industry. They have an extensive knowledge of the building industry and can assist you in saving costs where needed and meeting your budget. Architects can help you choose the ideal site for you to build your home or offices on. The feasibility of your proposed building project can be properly assessed. Can redesign or assist with the renovation of standing structures. How do I know how much it all will cost? We operate on a fixed rate basis, which means you will know the full extent of our fees from the outset. We charge no fee for the initial consultation or site appraisal. As for calculating build costs, this depends on a number of factors, eg. size of house, type of materials, etc. Here at Declan Noonan & Associate’s we combine the latest technology, such as 3D visualisation, with our knowledge of local, reliable suppliers to give you accurate costings for your project. Do I need planning permission for my idea? The decision as to whether your project requires Planning Permission depends on the size and location of the work you intend to carry out. We shall be able to determine whether or not this is required from an initial site visit. There are certain works that can be carried out to your property which do not require planning permission. These are categorised as Exempted Development under the Planning and Development Acts 2000 to 2006. For example, it is possible to extend a residential dwelling by up to 40sqm to the rear without seeking the permission of the planning authority, however there are certain conditions which the proposal must comply with in order to qualify for this exemption. How long does the Planning Process take? The planning process takes approximately 12 weeks altogether (assuming there are no appeals lodged with An Bord Pleanala). During the initial 5 week period of the application, third parties may make observations or objections and the Planning Authority will issue their decision after 8 weeks. In certain circumstances, the Planning Authority may seek further information or clarification prior to them issuing their initial decision. The final 4 week period is for any third party (or the applicant) to appeal the decision made to An Bord Pleanala. I’m renovating: do I still need planning permission? We can quickly assess your project and advise you if the works fall into the exempted development category. Our experience in renovations and extensions means all you have to so is ask. What is the Home Renovation Incentive? The Home Renovation Incentive will provide an income tax credit to homeowners who carry out renovation and improvement works on their principal private residences in 2014 and 2015. The incentive is payable over the two years following the year in which the work is carried out. The credit will be calculated at a rate of 13.5 per cent on all qualifying expenditure over €5,000 up to a maximum of €30,000. Qualifying works include extensions and renovations to the home, window-fitting, plumbing, tiling and plastering. This incentive will support fully tax compliant builders and will move activity out of the shadow economy into the legitimate economy as all expenditure and relief claims will have to be registered electronically with the Revenue Commissioners. Declan Noonan & Associates can recommend reliable builders and tradesmen. Contact us for more information. The primary purpose of the Building Regulations is to provide for the health, safety and welfare of people in and around buildings. In general, the Building Regulations 1997-2012 apply to the construction of new buildings and to extensions and material alterations to existing buildings and to certain changes of use of existing buildings. These Regulations apply to all types of construction. Building Regulations are set out by the government to ensure that every build in Ireland is to a minimum standard that has to be complied to. Standards are set out to protect work environments and the quality of goods. New building control legislation was introduced following high profile cases in Ireland dealing with building control issues ranging from defective materials, such as pyrite damage, to certification problems, together with complications such as contractor insolvency issues. These cases have highlighted the need for a more robust building control regime in Ireland. The new legislation will be an important element in the pursuit of an improved culture of building control. There are various aspects which will have a direct impact on professionals, such as engineers, architects and relevant members of the professional design team, together with owners, builders and building control authorities. The Building Control (Amendment) Regulations 2013 (the “Regulations”) are to be read in conjunction with existing legislation, and will come into effect from March 1 2014 bringing significant changes to the building control regime in Ireland. Click here to see the legislation in full. It is a ‘fast track’ notification of commencement of work prior to the granting of an FSC (Fire Safety Certificate). The standard fee, payable to the Building Control Authority is €250 or €5.80 per square metre of floor, whichever is the greater. This is double the amount for a standard Fire Safety Certificate application. The fee may vary depending on the work proposed and the fees are listed in the Fifth Schedule of the Building Control Regulations. Do I need to apply for a FSC as well and do I have to pay a fee for both? Yes, the 7 Day notice must be accompanied by a valid Fire Safety Certificate application and a statutory declaration in respect of the work proposed, but only the fee for the 7 day notice applies. You do not have to submit separate fees for both the Notice and the FSC. 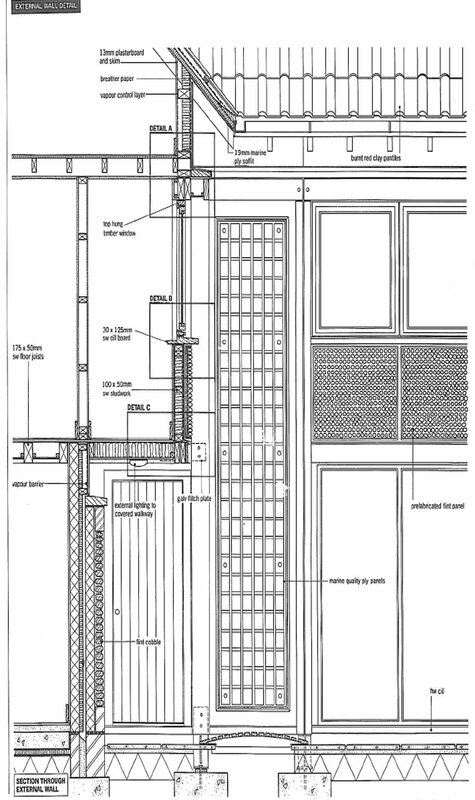 What are Working or Tender/Construction Drawings? Tender/Construction drawings or working drawings are a detailed set of documents which are prepared to help with the construction of a building. They are usually accompanied by a book of specifications. They identify every aspect of the construction process. They demonstrate how the building is put together, stating every material used and the method of construction. 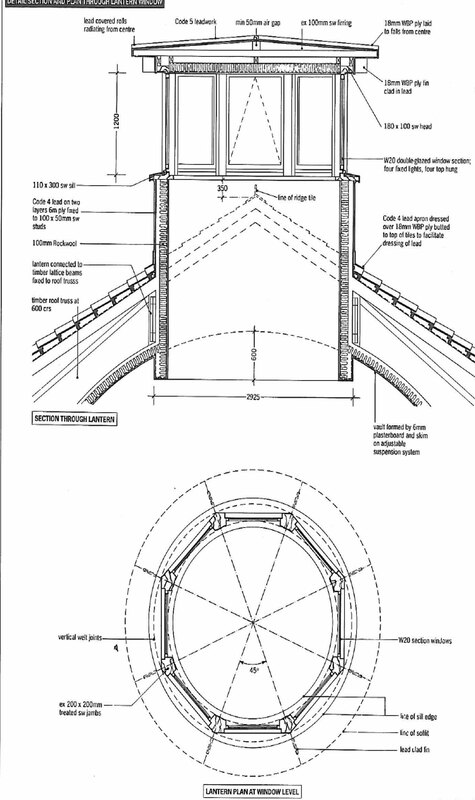 The detailed drawings cover items such as such insulation types and finishes, and are fully dimensioned at a larger scale. 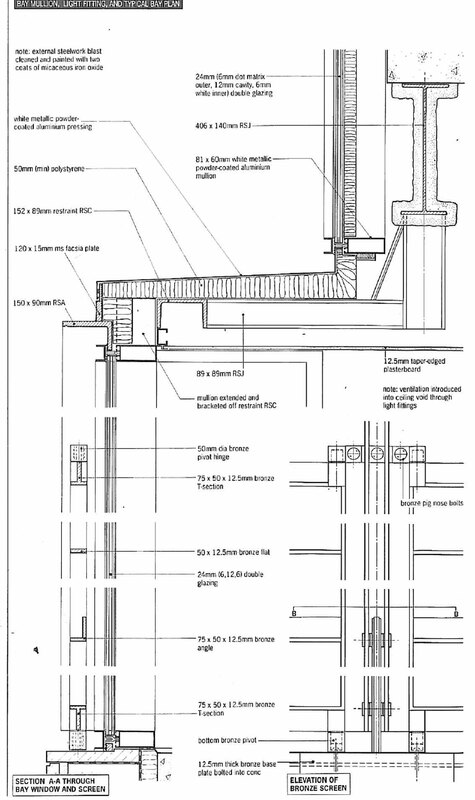 The working drawings and specifications sets a framework to ensure everything is clearly defined and in full compliance with all building regulation requirements. Click here for further information on building regulations. Working drawings and a book of specifications is the medium for you to communicate to the builder what exact finishes and features you expect the building to have. They allow you to describe exactly what you want your house to look like. They also can be used as Building Control Compliance drawings. Furthermore, the working drawings and a book of specifications contain all of the relevant information to achieve the desired BER. We can undertake a provisional BER calculation and incorporate the exact specifications to achieve the desired BER. We do not recommend leaving it to chance. Detail your building and know in advance what the expected energy efficiency of your home will be. Click here for more information on BER certificates. The detail within these documents sets out the responsibilities of each participant in the project; making it very clear if there is a problem during the construction phase, who is responsible for solving it. This avoids any conflict during construction. The more detail provided within these documents means you have greater price certainty and there is less risk of costly errors at the end of a project. Detailed working drawings and book of specifications have become even more important in the current economic climate with building contractors cutting their tender bids to the bare minimum in order to secure the work. They then try to make up the shortfall on the extras. The greater the detail, the more difficult it is for the contractor to justify extras at the end of the construction process. Commencing construction without a set work working drawings and a book of specifications can leave you exposed to cost uncertainty and unscrupulous behaviour from contractors. Declan Noonan & Associates offer a range of different Construction Drawings packages to suit a clients particular needs and budget. What is a tender pack? Other forms including the Non-Collusion Certificate, Freedom of Information Notice and Declaration, all of which must be signed. Will include any supporting information such as plans, drawings, maps, etc. Will I need to find a builder? Here at Declan Noonan & Associates we offer you a choice. We can build your house for you; using our in-house builder and a team of local suppliers with whom we have been working for years. Or we can work in co-operation with a builder of your choosing. What is a Main Contractor? A main contractor is a general builder who will undertake your construction project from start to finish. They are essentially a one stop shop for the construction of your project. The main contractor takes on all responsibility for your building project including insurances, and will sub-contract, co-ordinate, source, and oversee all the trades necessary to deliver your new building. Self-build/direct labour, occurs when the client decides to also take on the role of the contractor and build the house themselves. Essentially, this person directly contracts sub-contractors to undertake each element of the work. The advantage of self-build, is that you can save significant money, if you know what you are doing and you have the personal time to give to the project. The more you do, the more you save. However, there are many hidden costs and in particular responsibilities such as insurances and health and safety, which are often not considered. The person essentially becomes the main contractor, and therefore must co-ordinate all the other sub -contractors, arrange materials and supervise the build (note the designer inspects at the main stages of construction – see question 22). It is the clients responsibility to ensure that the construction is being constructed in accordance with the building regulations. The route of Direct Labour is suited more to those individuals who have a background or technical understanding of construction and who can afford to give their time to the construction process. Individuals with little understanding of construction can find the decision to go direct labour route a testing route. Why should I use a Project Manager? Some people may think that they can cut back on costs by managing a project themselves. However, this could lead to you actually spending more money on the project if things go wrong. Do I need a contract with my builder? Declan Noonan & Asscoiates strongly advise that a written contract is entered into between the client and the building contractor. Contracts offer protection to both parties including a means for dispute resolution. There are a number of different forms of contract which are available and we can advise on the most suitable form for your project. As well as the contract, any tender drawings and specifications are tied into the contract, therefore, should a dispute arise in relation to what is, or is not, included in the builders price, reference can be made to the contract for clarification. As well as dispute resolution, suitable building contracts outline details such as dealing with defects, delays and so on. What is a Section 5 Reference? Where there is uncertainty as to whether a development is exempt or not we can make a Section 5 reference to the relevant planning authority to seek formal acknowledgment that the development is exempt. Within eight weeks of the Section 5 reference, the planning authority must give a decision on whether or not a proposed development is exempt or in need of planning permission. This involves providing the planning authority with all of the necessary information to enable the authority to make a decision on the matter, for example site maps, drawings. etc. Contact Declan Noonan & Associates to find out if your development is exempt or not. Click here for further information on our planning services. How do I apply for planning permission for a house extension? Contact Declan Noonan & Associates and we can manage your planning permission application for your renovation or extension for you. What is a Building Energy Rating? 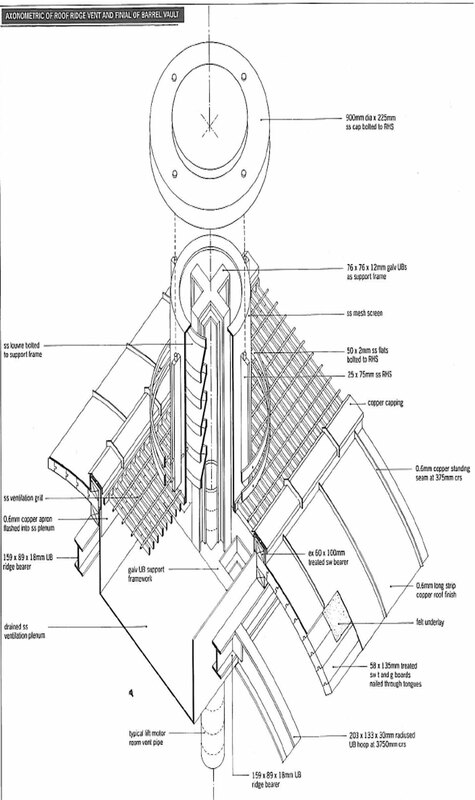 A Building Energy Rating (B.E.R.) is an indication of the energy performance of a home. It covers energy use for space heating, water heating, ventilation and lighting calculated on the basis of standard occupancy. A BER is similar to the energy label for a household electrical appliance like your fridge. The label has a scale of A-G. A-rated homes are the most energy efficient and will tend to have the lowest energy bills. Do I need a Building Energy Rating (B.E.R.) Certificate if I am selling my house? From the 1st of January 2009, a BER certificate became compulsory for all homes being sold or offered for rent. If you are buying or renting a house or apartment, you are entitled to a BER so ask the seller, landlord or agent for it. A BER certificate is accompanied by an advisory report which will identify how you might improve the energy performance of your home. A BER is also required, subject to transitional arrangements, where construction of a new home begins on or after 1st January 2007. 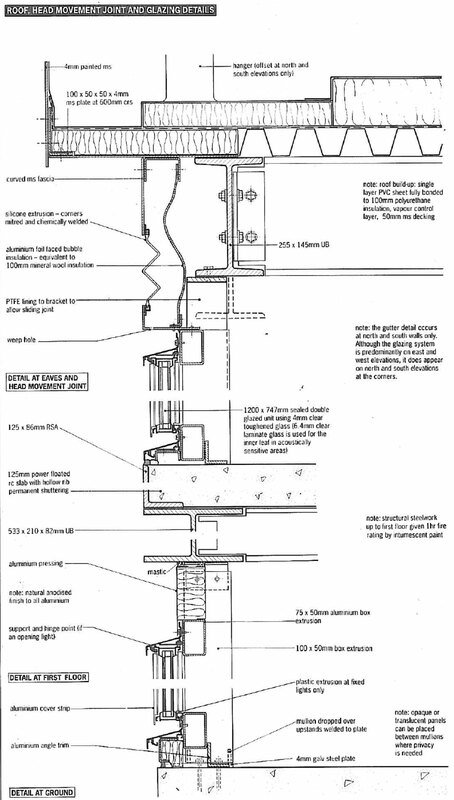 Do Building Regulations apply to extensions? Your development must comply with the provisions of the Building Regulations. A Commencement Notice and relevant fee will need to be submitted to Building Control in the Council not more than 28 days and not less than 14 days before commencement of works. Primary responsibility for compliance with the Building Regulations rests with the owners and then the designers and builders. There are heavy penalties, including fines and imprisonment, for breaches of the Building Regulations. In addition, when it comes to selling a property, there may be difficulties if the purchaser’s solicitor cannot be satisfied that the requirements of the Building Regulations have been met. Click here for more information on Building Regulations. Do I need planning permission to insert dormer windows or rooflights in the roof of my house? Planning permission is required for ALL types of dormer windows proposed to any part of the roof of a house. Planning permission is required for rooflights or skylights proposed on any roof slope of a dwelling that faces onto a public street. 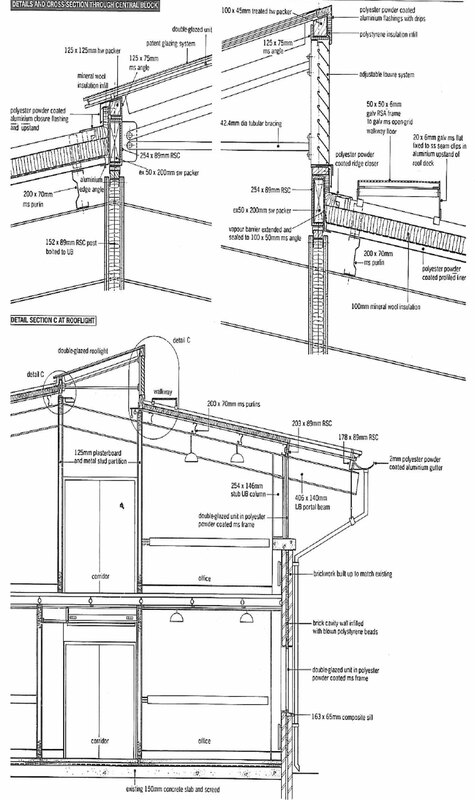 Planning permission is not required for rooflights or skylights proposed on the rear roof slope of a dwelling or on roof slopes that do not face onto a public street provided that they lie flush with the existing roof slope. In this case, it should be noted that the number and size of rooflights or skylights proposed should not dominate the roofslope – it is recommended that they do not cover more than 20% of the roof slope on which they are located. Click here for more information on planning permission. Do I need planning permission to make changes to the front of my house? 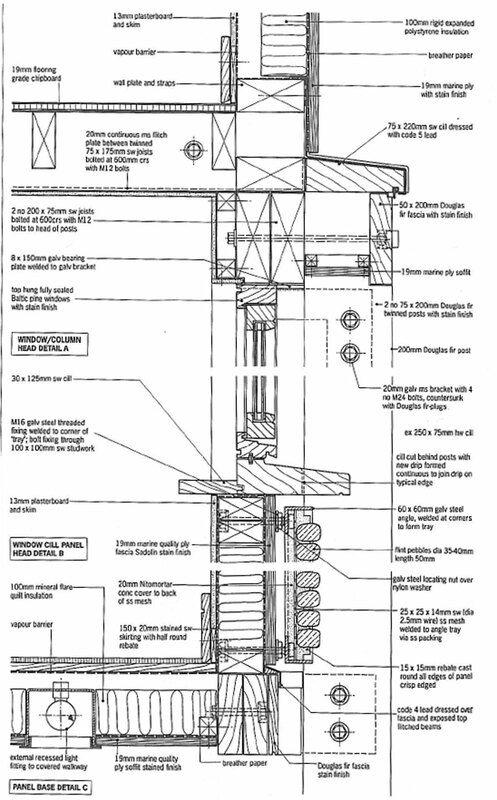 Planning permission is required for all extensions proposed to the front of a house (except for the small porch structures illustrated on this page). This includes structures to the front of the house such as a canopy or bay windows, or other changes that will affect the character of the house. Contact Declan Noonan & Associates for advice on your renovation. Do I need permission to erect a TV satellite dish on my house? If any of these restrictions are to be exceeded planning permission is required. In the case of a simple television antenna, other than a satellite television signal receiving antenna, the height of the antenna above the roof of the house shall not exceed 6 metres. If the antenna is higher than this, permission is required. 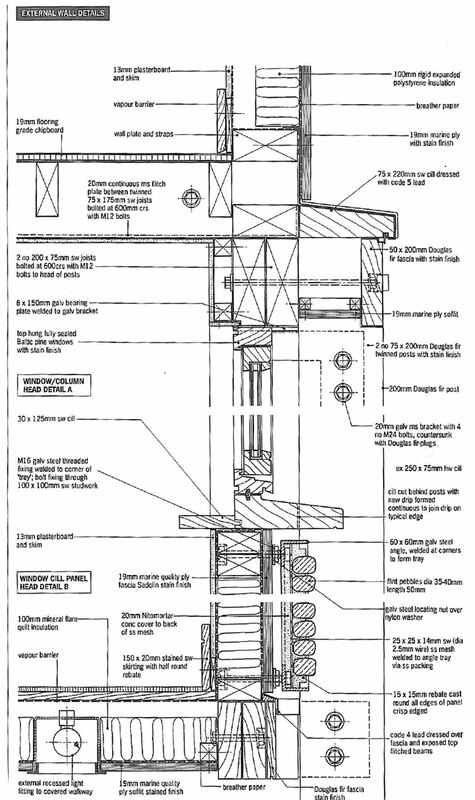 Does a garage conversion need planning permission? Garages are often converted into an extra family room or playroom and incorporated into the main living area of the house. If the garage to be converted is attached to the side or rear of the main house, planning permission is not normally required, as long as the combined floor area of the garage conversion taken together with any other extensions does not extend the floor space of the original house by more than 40m2. In such cases, the front garage door should be replaced with a window matching those on the remainder of the property. However, if more significant changes to the exterior of the garage are proposed such as replacing the garage door with both a window and door, planning permission may be required as these changes may alter the character and appearance of the dwelling. We recommended that you check the situation with our experienced planning agents. Click here to contact Declan Noonan & Associates. Is planning permission needed for solar panels on the wall or roof of a house? • the distance between the plane of a flat roof and the solar panel is not more than 50cm. 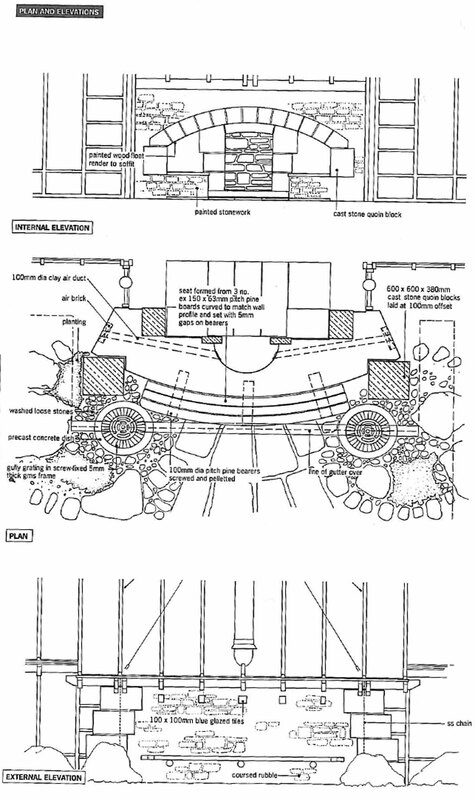 Is planning permission needed for garden decks or other landscape works? Garden decking or the creation of other hard surfaces are exempt from planning permission provided that the ground level is not altered or raised by more than 1m. Therefore, where ground levels in a rear garden vary considerably, resulting in the decking or hard surface being raised by more than 1m, planning permission will be required. 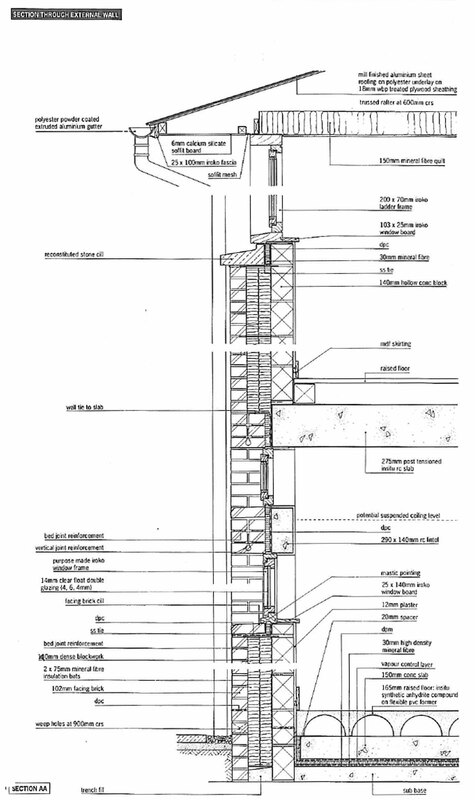 Is planning permission needed to widen an existing entrance? A hard surface to provide no more than two car parking spaces can be provided to the front of a house without planning permission. However, widening an existing driveway entrance will require planning permission. Declan Noonan & Associates have the technology and expertise to advise you on any situation. Is planning permission required to construct or alter a wall in my garden? • The height of a wall or fence within or bounding any garden or other space in front of a house shall not exceed 1.2 metres or 2.0m in height if located to the rear of a house. • Every wall other than a dry or natural stone wall bounding any garden or other space shall be capped and the face of any wall of concrete or concrete block (other than blocks with decorative finish) which will be visible from any road, path or public area, including public open space, shall be rendered or plastered. • No garden boundary shall be a metal palisade or other security type fence. The plastering or capping of a concrete block or mass concrete wall does not in itself require planning permission but in the interests of residential amenity every effort should be made to achieve a finish which is consistent with that of your property and other buildings in the area. Do I need planning permission to create a family flat? A family flat refers to a unit created through the subdivision or extension of a dwelling to accommodate a member of the immediate family for a limited period. Planning permission is normally required for such development. • be linked directly to the main dwelling via an internal access door (at both ground and first floor levels if the extension or sub-division is two-storey in nature). If an external door to the new family flat is required, it should be located to the side or rear of the new unit rather than to the front of the house. Contact Declan Noonan & Associates for advice and information on what to include in your planning application. Do I need planning permission to run a small business from a new extension to my home? Many small scale commercial and professional businesses may be carried out by people in their homes where they are secondary to the main use of the house as a residence. Planning permission is normally required for running a business from home. Contact Declan Noonan & Associates for information on the circumstances in which the planning authority will consider granting planning permission. What if my house is a Protected Structure or in an Architectural Conservation Area? Planning permission is required for any works, including extensions, to Protected Structures (including Proposed Protected Structures) or works to the exterior of a structure within an Architectural Conservation Area. Details of Protected Structures and Architectural Conservation Areas in the county can be found by contacting Declan Noonan & Associates. It is recommended that proposals to alter or extend a Protected Structure or a structure within an Architectural Conservation Area are discussed with the Council’s Conservation Officer before submitting a planning application. It is important to note that any person who damages or undertakes works to a Protected Structure without the necessary planning permission is committing an offence. Declan Noonan & Associates can represent your interests in these initial planning consultations. Contact us for more information. Are there buildings exempt from needing a Building Energy Rating (B.E.R.) Certificate? There are exemptions for certain categories of homes, for example, protected structures and certain temporary homes. A new home (i.e that has never been sold or occupied) is exempt from the BER requirement if the planning application was submitted on or before the 31st December 2006 and if it was substantially completed by 30th June 2008. ‘Substantially completed’ means that the external walls have been erected. What impact will my design have on the environment? Here at Declan Noonan & Associates we have a Chartered Environmentalist on the team who can ensure that your design and build are both sustainable and as environmentally friendly as possible. We can also carry out a Building Impact Assessment, also known as an Environmental Impact Assessment (EIA). This is a process by which the anticipated effects on the environment of a proposed development or project are measured. If the likely effects are unacceptable, design measures or other relevant mitigation measures can be taken to reduce or avoid those effects. What is a Request for Further Information? A request for further information arises when the planning authority requires additional information over and above the minimal requirements in order to assess an application. It is not possible to pre-empt in all cases the content of an RFI as the list of items that a council could draw on is exhaustive. The content of an RFI can range from the modification of plans, clarification of landownership, clarification on choice of site, request for specialised reports such as Ecological, Hydrological or Archaeological reports, submission of a detailed landscape plan, a submission of a photomontage, etc. We advise our clients to avail of a pre-planning meeting at an early stage in order to minimise the risk of an RFI or the content thereof. I’m rebuilding/renovating an old house; are there guidelines I need to follow? The first step for you is to find out if the house you are planning on rebuilding or renovating is a Protected Structure. Have a look at your county council’s County Development Plan to see if your building is listed as a Protected Structure. A protected structure is a structure that a planning authority considers to be of special interest from an architectural, historical, archaeological, artistic, cultural, scientific, social or technical point of view. If you are the owner or occupier of a protected structure, you are legally obliged to prevent it becoming endangered whether through damage or neglect. This document describes the protection given to these structures under Part IV of the Planning and Development Act 2000. 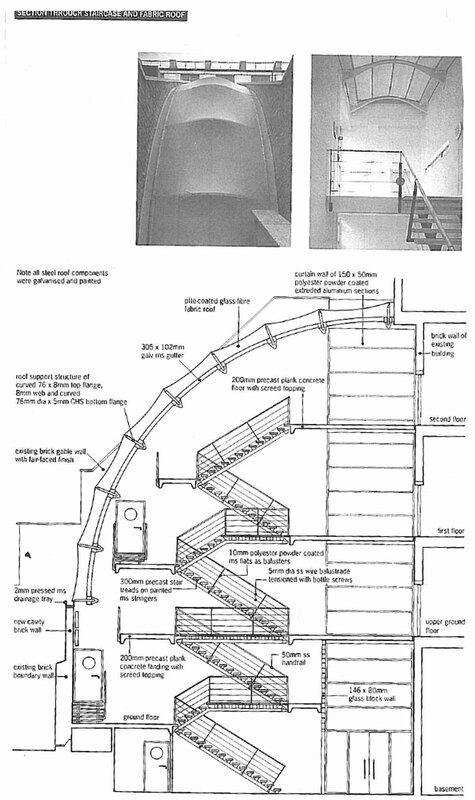 At Declan Noonan & Associates we can work with you to ensure that your planned works follow the necessary guidelines. In Ireland, development plans are the blueprint for the planning and development of your local area. Each plan sets out the overall planning policies of your local authority for a 6-year period. It consists of a written statement and a series of maps. Work on putting together a new development plan for your area must begin 4 years after the date of the last plan. As a blueprint for planning and development of your area, the development plan sets out your local authority’s objectives for the use of particular areas where you live (i.e., residential areas, industrial areas, agricultural areas, etc.). It also sets out your local authority objectives for development in the area, road improvements, renewal of obsolete areas and for improving amenities. It’s very important therefore that citizens participate and make submissions to the development plan for their area. When a new development plan is being prepared, you can become involved at the inital stage when your local authority publishes its intention to review the plan. You will see notices about this intention in your local or national newspaper, or you might hear an announcement on local radio. You can also participate at the draft plan stage and if applicable, you can also participate at the amended draft plan stage. At all of these times, you can make observations, submissions and suggestions (within specified timeframes) about what your local authority is proposing. When the notice is published that your local authority intends to make a new draft plan, the plan will be on public display for at least 10 weeks during which time, you can make submissions. All submissions that are made within the specified period must be considered before the final plan is adopted. Before the final plan has been adopted, various statutory agencies, voluntary and community organisations in your area are consulted and asked to give any specialist advice and observations. All planning applications in your area are measured against the development plan, and planning permission will normally only be given where the application is in accordance with the plan. This is one of the reasons why it is important for citizens to be aware of their development plan and any restrictions that it may contain. For example the plan will contain various areas zoned “residential’ or “industrial’. This indicates that developments of the appropriate type may get planning permission. If you are proposing to apply for planning permission, especially if you want to build a house, it would be very sensible to look at the development plan first. Regional guidelines and development plans in Ireland must take into account the National Spatial Strategy. The National Spatial Strategy is a national planning framework for Ireland from 2002-2020. The key to the strategy is the balanced regional development. It is intended that the Strategy will guide ‘future infrastructural, industrial, residential and rural development in Ireland while providing protection for our cultural, natural and environmental heritage’. The National Strategy also takes account of the European Spatial Development Perspective , agreed in 1999 by the 25 EU member States. Radon is a radioactive gas which is naturally produced in the ground from the uranium present in small quantities in all rocks and soils. You cannot smell, see or taste radon. Radon can only be measured with special detectors. Radon is a radioactive gas which produces tiny radioactive particles. When inhaled, these particles are deposited in the airways and on lung tissue, giving a radiation dose that can cause lung cancer. Your risk of contracting lung cancer from exposure to radon depends on how much radon you have been exposed to and for how long. When you are exposed for a long period of time to high levels of radon, you increase your risk of developing lung cancer. Radon is in the same group of carcinogens as asbestos and tobacco smoke. There is no scientific evidence linking radon with any other types of respiratory illnesses or other cancers. The only way to know if radon is a problem in your home is by having a radon test carried out. Radon levels can vary a lot between buildings so, even if your neighbours have measured radon in their home, you should also have your home tested. Outdoors, radon is not a problem. A High Radon Area is any area where it is predicted that 10% or more of homes will exceed the Reference Level of 200 Bq/m3. Any area that is coloured light or dark brown on the map is a High Radon Area. Please note: A high radon level can be found in any home in any part of the country, but these homes are more likely to be located in High Radon Areas. A passive house is a building with an energy demand 90% lower than most buildings.Through careful design, thought and calculations a building can be created to require only the lowest amount of energy 15kWhr/m2 pa. It is an ultra efficient building standard that saves on your heating bills and ensures your house is always at an indoor temperature of 20 degrees with an extremely high level of air quality. Our architect is an accredited Passive House Designer. Do I need an Electronic Topographical Site Survey? An electronic survey is highly recommended for any sloped or awkward sites; e.g. where traffic sightlines are not easily achieved. Declan Noonan & Associates use total station survey equipment and Civil3D software to provide clients with a contours survey map. An electronic survey allows for an accurate map of a site. A map traced from an OSI map is commonly used for the purposes of planning but the accuracy of such a map is limited. 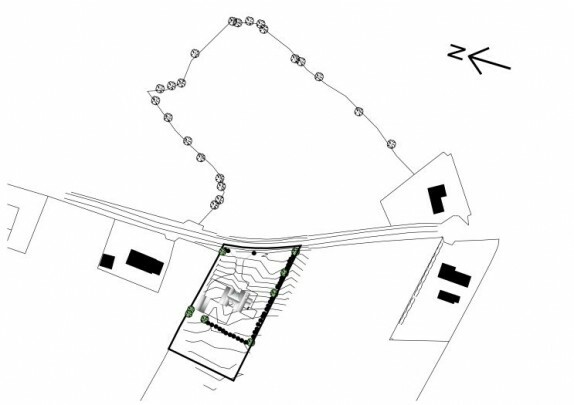 An accurate electronic site map will also aid in the design of the house and can increase the chances of an application being successful as the proposed development will be better presented to the Planning Authority with accurate site sections and an accurate presentation of other site features. An accurate site survey will also be of benefit to a client, once a proposal goes to construction as differences in ground levels will be accurately represented on the map. This will aid when looking for accurate prices of rising walls and ground works. What is an EPA Site Suitability Assessment? An EPA Site Suitability Assessment is required for all developments that will require a sanitation system on all sites which are not serviced. Simply put this assessment accounts for what was called the percolation test in the past. The test is done in accordance with the code of practice EPA 2009, and its purpose is to ascertain whether or not a site is suitable to treat waste water without the risk of pollution. If a site is deemed unsuitable to treat waste water then it will not receive planning permission. In this regard an EPA test should preferably be carried out early on in the site feasibility process. An EPA assessment will ascertain what type of treatment system is suitable for a site that passes, e.g. a septic tank or a proprietary treatment system, and the type of percolation area required. • In addition to the above, 6 no. 300mm square x 400mm deep holes need to be dug by hand with a spade and bar. The holes will be excavated in a location chosen by Declan Noonan & Associates and close to where the percolation area will be placed, but importantly not within that area. Declan Noonan & Associates attend on site on the day the holes are being excavated at no extra charge in order to pre-empt any unexpected ground conditions being encountered. The holes should also be secured in order to prevent someone or livestock accidentally falling into them. The holes normally will need to be left open for the duration of the planning process unless the Local Authority direct otherwise. What are Stage Payment Certificates? Stage Payments are normally made to the Building Contractor at fixed stages during the course of a Building Contract. Stage Payment Certificates are provided to a Building Client by a Consultant Engineer engaged to administer the building contract and undertake periodical site inspections of the building work to check that the works comply with the Building Contract and the Building Regulations. Often, an alteration, addition or extension to a property will require a Certificate of Compliance with Planning Legislation or Building Regulations. The onus is on the Vendor of the property to arrange this if a certificate is required. As part of our Pre-Purchase Surveys, we often identify such works for your information so as to facilitate your solicitor requesting a Certificate from the Vendor. We will inspect the relevant alteration or addition and prepare a Certificate subject to compliance. Relevant advice will be given should there be a problem of non-compliance. What is a snag list? A snag list is essentially a list of the items that need to be corrected in order for the building to be completed. Snag lists are often done in two stages, at practical completion and some months after the build is complete to identify faults that arise as a result of the drying out process. The snagging is the ultimate closure on a job for both the builder and the purchaser. Practical completion is the point where the building works are deemed to have reached a stage of completion whereby it can be occupied by the user. A certificate of practical completion is issued by the person inspecting the construction stage, to indicate that this stage of the works have been reached. What is the Residential Property Price Register? It is important to note that the Register is not intended as a “Property Price Index”. What is the Land Registry? The Land Registry was established in 1892 to provide a comprehensive and secure system of land registration. When title or ownership is registered in the Land Registry the deeds are filed in the Registry and all relevant particulars concerning the property and its ownership are entered on folios which form the registers maintained in the Land Registry. In conjunction with folios the Land Registry also maintains Land Registry maps. Both folios and maps are maintained in electronic form. The core business of the Land Registry involves examining legal documents and related maps submitted as applications for registration, interpreting the legal effect of such documents and recording their legal impact on the registers and maps. Since the Irish land register is a public record, any person may inspect the folios and maps, on payment of the prescribed fees. The title shown on the folio is guaranteed by the State which is bound to indemnify any person who suffers loss through a mistake made by the Land Registry. A purchaser therefore can accept the folio as evidence of title without having to read the relevant deeds. What is the Registry of Deeds? The Registry of Deeds was established in 1707 to provide a system of voluntary registration for deeds and conveyances affecting land and to give priority to registered deeds over unregistered registerable deeds. There is no statutory requirement to register a document but failure to do so may result in a loss of priority. The effect of registration is generally to govern priorities between documents dealing with the same piece of land. The Registry of Deeds currently operates under the provisions of part 3 of the Registration of Deeds and Title Act 2006 and the Registration of Deeds Rules 2008 which came into effect on 1 May 2008. The primary function of the Registry of Deeds is to provide a system of recording the existence of deeds and conveyances affecting unregistered property. When a Deed is lodged in the Registry of Deeds it must be accompanied by the relevant ROD Application Form (as prescribed by the Registration of Deeds Rules 2008). This ROD Application Form replaced the Memorial which is a summary of the relevant details of the original Deed. It should be noted that the Registry of Deeds does not guarantee the effectiveness of a Deed nor does it interpret a Deed, but only records the existence of the Deed. The ROD Application Form contains the date of the deed, details of the parties to the deed and a description of the property affected by the deed. Each application is given a serial number in order of the date and time of lodgement and the priority given to registered documents is based on the serial number allocated. When the application is completed, the original Deed is not filed in the Registry but is returned to the lodging party. Maps are not held as part of the registration record. The ROD Application Form (formerly the Memorial) is filed as a record in the Registry of Deeds. What is the Property Registration Authority? The registration of deeds system (Registry of Deeds) which records the priority of the registered deeds and conveyances. A title is the ownership of a property and a deed is a document in writing which affects property. Both systems are mutually exclusive. Your solicitor will know which of the two systems is relevant to your case. Both systems are under the control and management of the Property Registration Authority. The Property Registration Authority is an independent statutory body set up under the Registration of Deeds and Title Act 2006. If you do not agree with a decision by the Authority may appeal it to the court and the court may annul or confirm the decision with or without any changes made to it. Stamp duty is charged on the instruments used in the transfer of property – that is, on the conveyance documents that transfer ownership of the property. In general, the only factor affecting the amount of stamp duty is the value of the property. A simplified stamp duty system was introduced on 8 December 2010 – see ‘Rates’ below. Before that date there was a complex system of exemptions and reliefs for stamp duty on residential property. These earlier rules are summarised in ‘Further information’ below. For people buying their homes under local authority tenant purchase and similar schemes, a maximum amount of €100 is charged in stamp duty. While the above transactions are in general exempt from stamp duty, the exemption does not apply if any other person is a party to the instrument. In the case of non-residential property, stamp duty is payable at half the normal rate applicable if there is a transfer of property (other than shares) to certain relatives – for example, a parent, grandparent, step-parent, child, brother, sister, half-brother, half-sister, aunt, uncle, niece or nephew. This consanguinity relief is not available on leases or on transactions involving cousins and/or in-laws. It will cease after 31 December 2014. For residential property, consanguinity relief was abolished since 8 December 2010. A stamp duty clawback arises where rent, other than under the Rent a Room scheme, is obtained within the 2-year period (or up to the date of a sale during this period) from the date of the purchase deed. The amount of the clawback is the difference between (a) the stamp duty payable at the higher rates which would have applied at the date of the purchase deed and (b) the lower duty (if any) paid as a result of getting the benefit of reduced stamp duty rates. Under the Rent a Room scheme, there is no stamp duty clawback where rent is received by the person in occupation of the house or apartment on or after 6 April 2001 for letting of furnished accommodation in part of the house. This relief was for farmers who sold some agricultural land and bought more in order to consolidate their holdings and improve the viability of their farms. It is no longer applicable. For people buying their homes under local authority tenant purchase and similar schemes, a maximum amount of €100 is charged. There is no stamp duty payable on certain transfers between spouses, civil partners and cohabitants – see above. Since 7 December 2011 there is a single rate of 2% on all non-residential property and the first €10,000 is no longer exempt from stamp duty. Your solicitor will calculate how much stamp duty is due and request this from you before the sale is closed. The amount is paid to the Revenue Commissioners, who place a stamp on the property deeds. Without this stamp, the deeds cannot be registered. Before 8 December 2010, the amount of stamp duty payable varied according to the value of the property (home or apartment, land or housing site) and your status (first-time buyer, investor, etc.). Stamp duty was divided up into different categories and rates and the amount you had to pay depended on your particular circumstances. Up to 8 December 2010, first-time buyers who were owner-occupiers of new and second-hand residential property did not pay stamp duty. As a divorced or separated person, you could be considered a first-time buyer if you met certain conditions. People who rent out new or second-hand houses or apartments are considered investors. Under the rules in force up to 8 December 2010, the same rates of stamp duty applied to investors as to non-first-time owner-occupiers.